All set for the buck’s night with all the fellas? Celebrate this awesome moment with an equally awesome party worthy of your rowdy university student days. 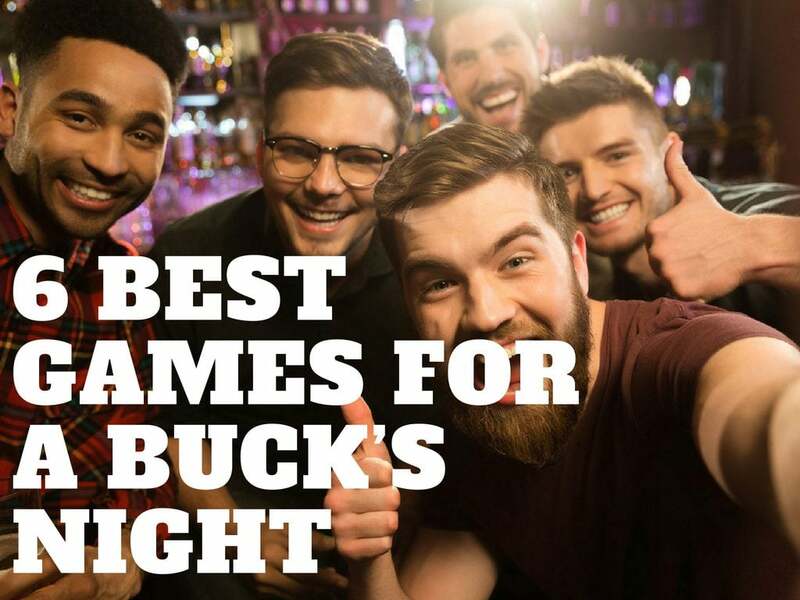 Here are 7 of the best buck’s night games that you can play that will make this party one of the most memorable events ever. This is a really interesting game pretty common among college boys. You can prepare some toy figures of soldiers or superheroes. Make sure they are posable. Here’s how it’s played: One of the boys can position a toy in one way. Then, let all the participants of the game copy the toy’s position. The guy who gets into position last or was not able to imitate the toy well will be out. Prepare a prize for the last man standing to make it even more competitive. This is one wild game that’ll get everyone involved. A person will randomly scream, “Attack!” On this signal, all men must dive for the floor. The person who does this last will have to take a drink. He will then be designated as the next person to scream, “Attack!” any time during the party. Finally, there’s the dance off. This is going to be a lot more fun if the guys have had one drink too many. Let the guys let loose and take the dancefloor for themselves. You can have some of the girls in the room judge the best dancer. 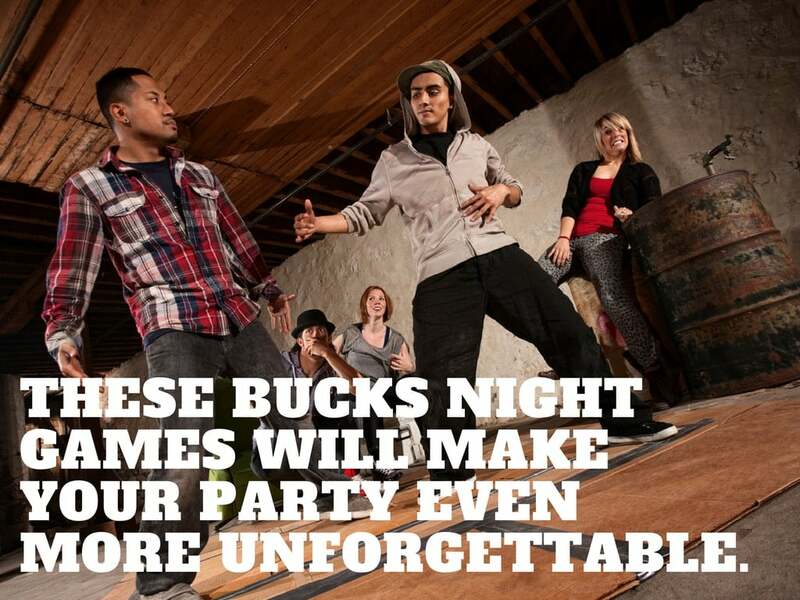 Great prizes await the buck who rules the dancefloor. So this game is literally just like golf with scorecards and all. This is a go-to game for many college boys. You can choose from a benign 4-hole golf tournament or a raucous 8-hole thing. Each hole represents a club (or pub). The guys must take drinks in each of the clubs at a stipulated time, say, 15 to 30 minutes. Then, they move on to the next club until they reach the agreed number of ‘holes’. Each guy gets a score card and must list how many drinks he had in each of the holes. At the end of the tournament, the guy with the least number of drinks loses. Prepare a really devastating consequence to shake things up. Designate one buck to randomly freeze during the party. When that person freezes, everyone must freeze as well. Last person to notice loses. Prepare a consequence for losing like taking a drink or doing something pretty embarrassing in front of the crowd. Here’s another interesting game among male university students. The challenge is pretty simple. A buck is asked to approach a group of girls and should talk them up. The catch is he must be really weird as possible. He must stick to his act for an agreed number of minutes. You can do three to five. If the buck finishes his time without being told to scram, he wins. If not, he will have to face the given consequence. There are still so many things that you can do for a buck’s night. Your best choice is to hire Central Coast female strippers to make the night even more interesting. Male university students and college boys totally dig this scene. Whatever it is, you can throw a massively fun buck’s party with these 6 wild games. Get things going and have the best night of your life with your friends from the uni!